Bodu Bala Sena (BBS) General Secretary Ven. 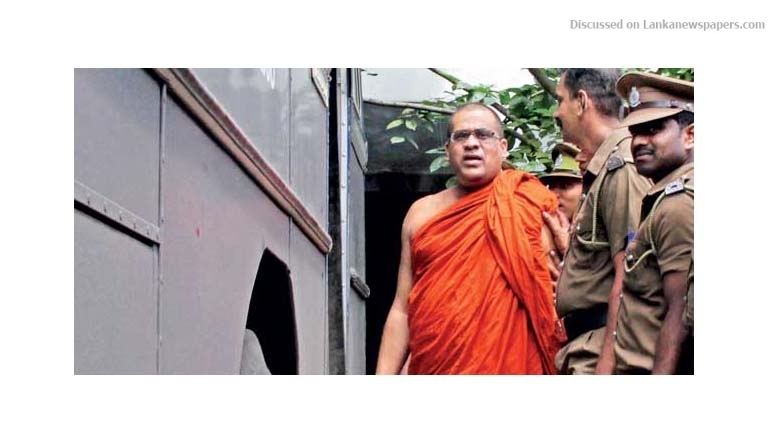 Galagoda Aththe Gnanasara Thera was yesterday sentenced to one-year Rigorous Imprisonment to be ended in six months by Homagama Magistrate Udesh Ranatunga for threatening Sandya Ekneligoda, wife of missing journalist Prageeth Ekneligoda. The Magistrate also imposed a fine of Rs.3000 on Ven. Gnanasara Thera and ordered him to pay Rs.50,000 as compensation to Mrs Ekneligoda. Ven. Gnanasara Thera was found guilty of threatening Mrs Eknaligoda inside the Homagama Magistrate’s Court premises on January 25, 2016. ← Latest addition to the Fairway Colombo events – Street Latin Night!